Monday and the Bike !! Not wishing to miss a postaday; I celebrate and thank Nick Morley at Hello Press for a wonderful day of printing. 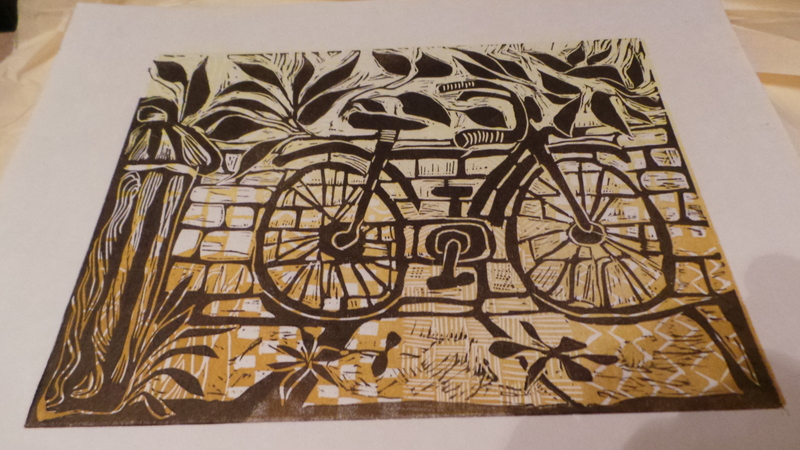 I will write more fully about the day later; but meanwhile the bike and its first print … is no longer the ugly child!